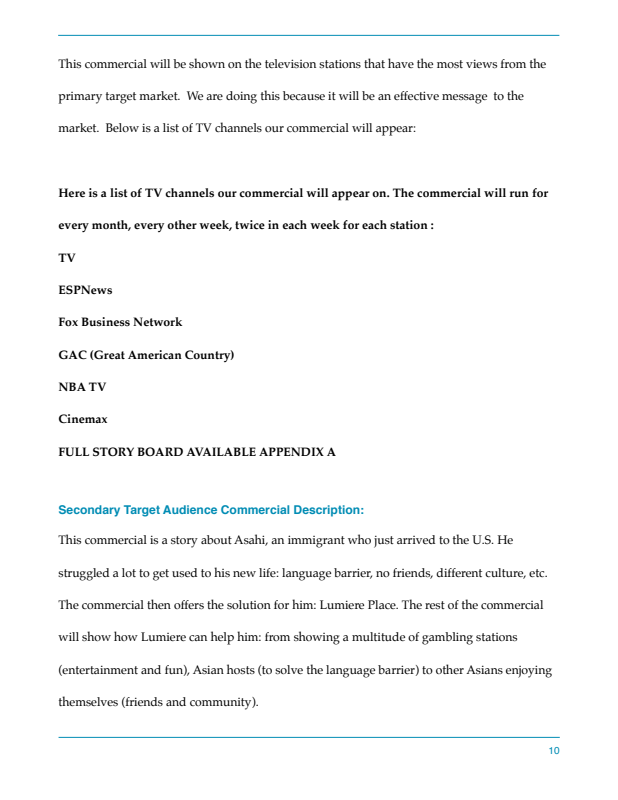 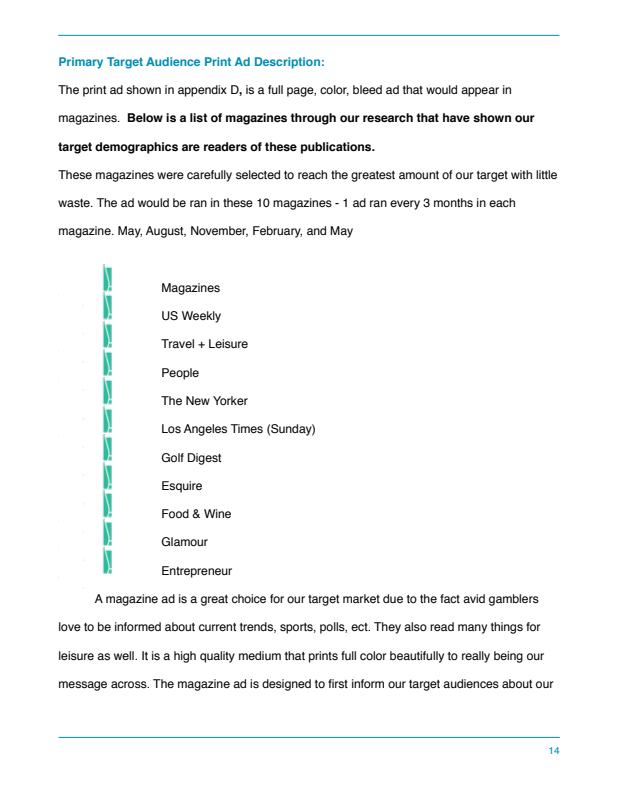 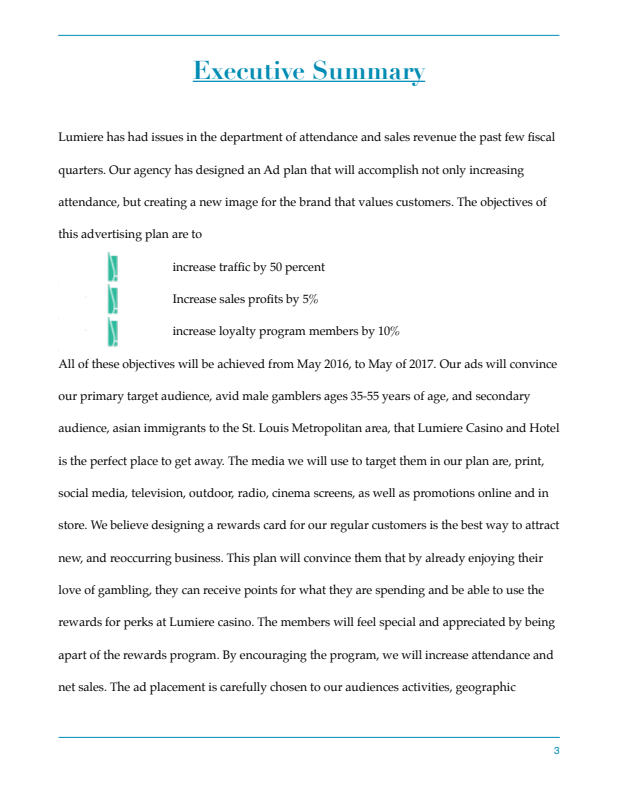 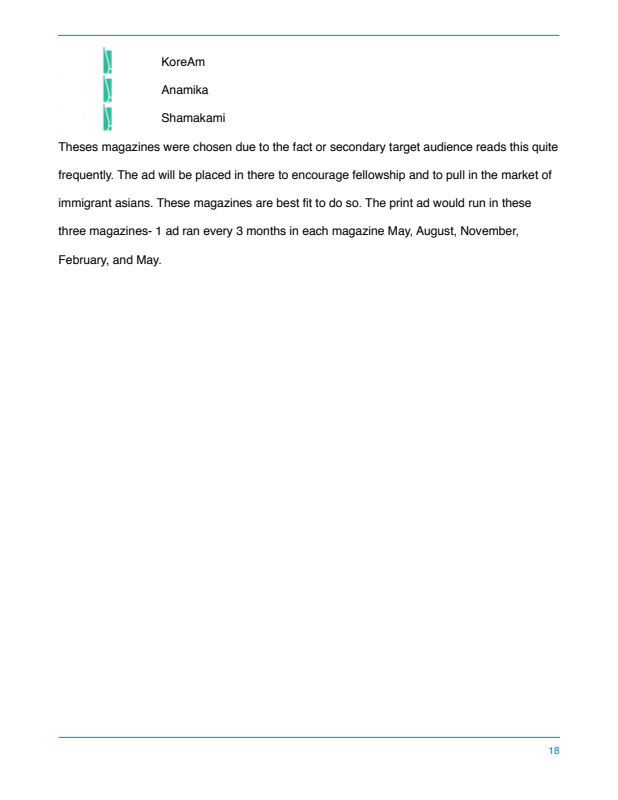 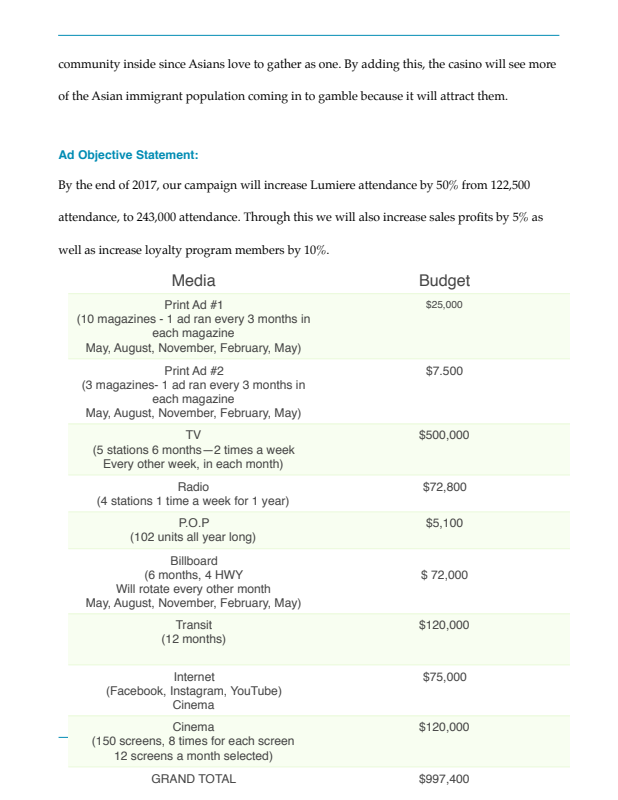 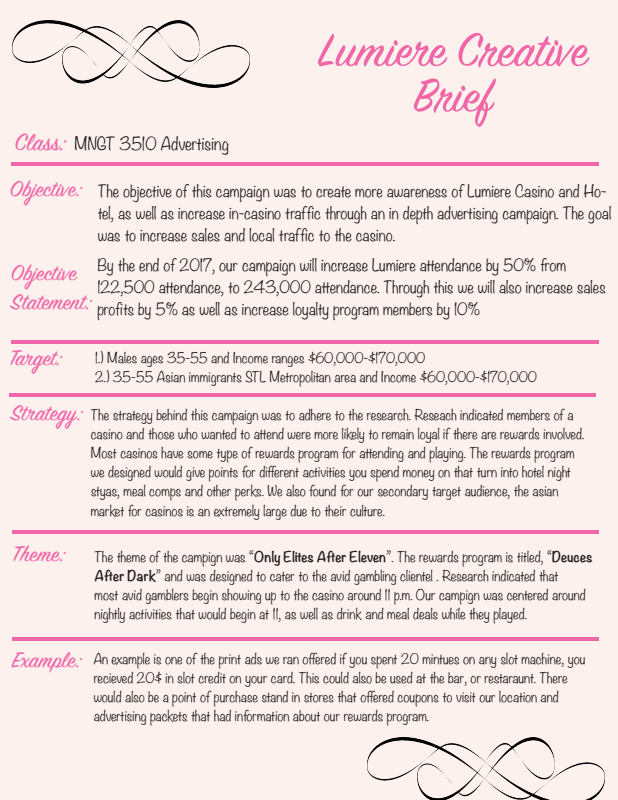 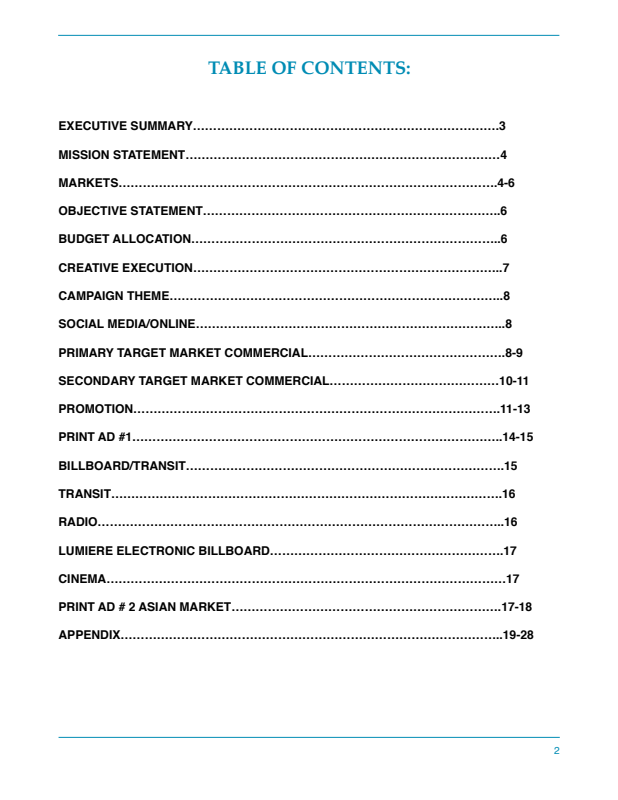 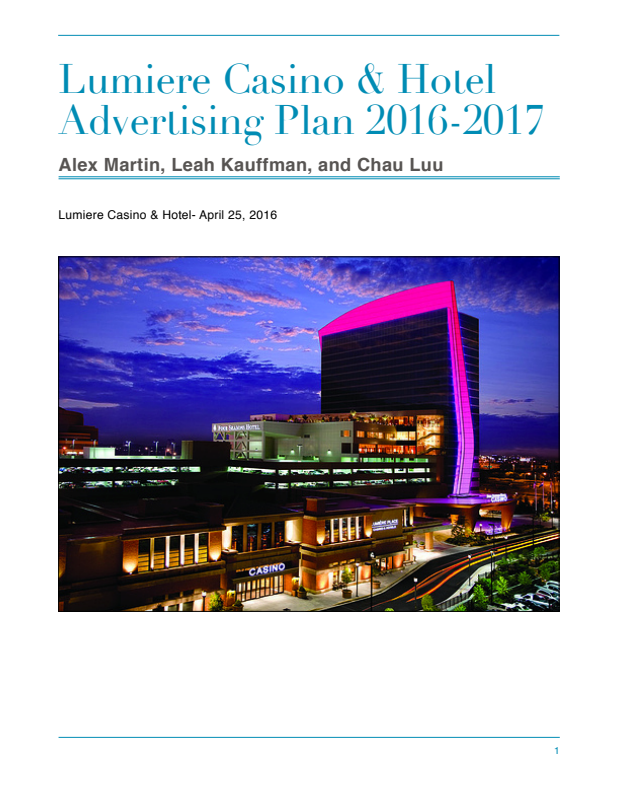 This campaign was assigned to us with two issues: Sales are down and Attendance is declining. 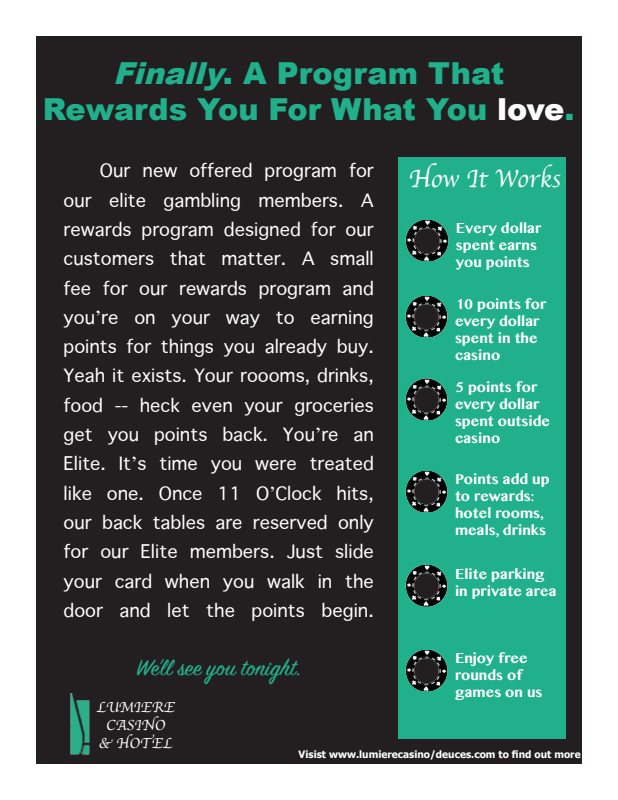 My solution to the problem after extensive research was to create a rewards program. 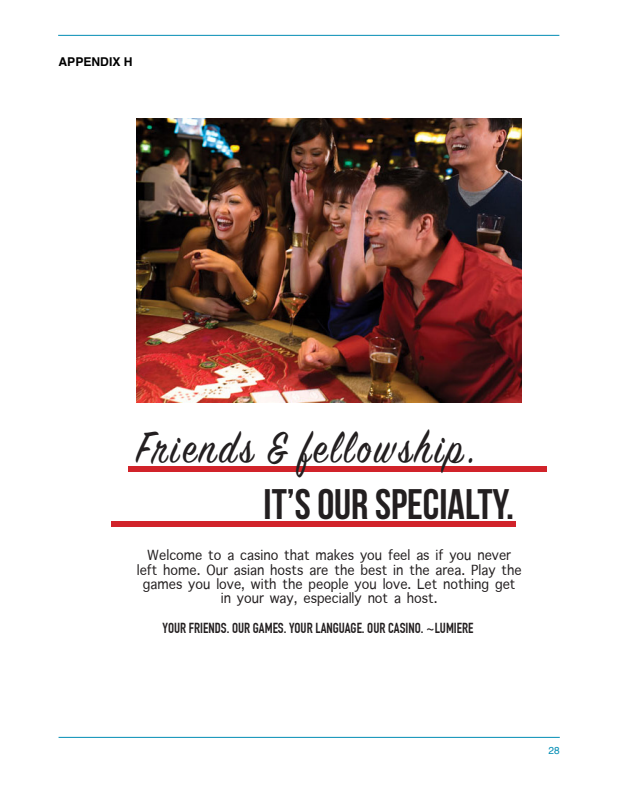 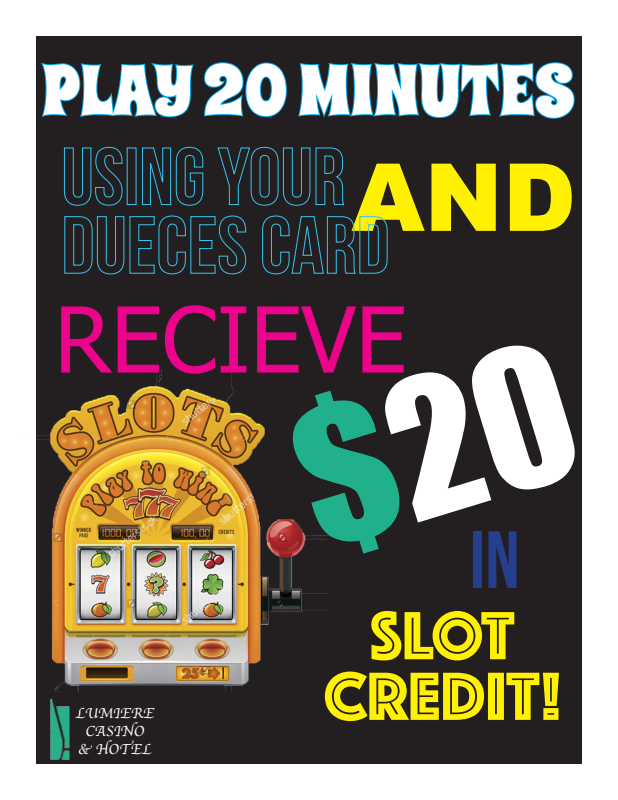 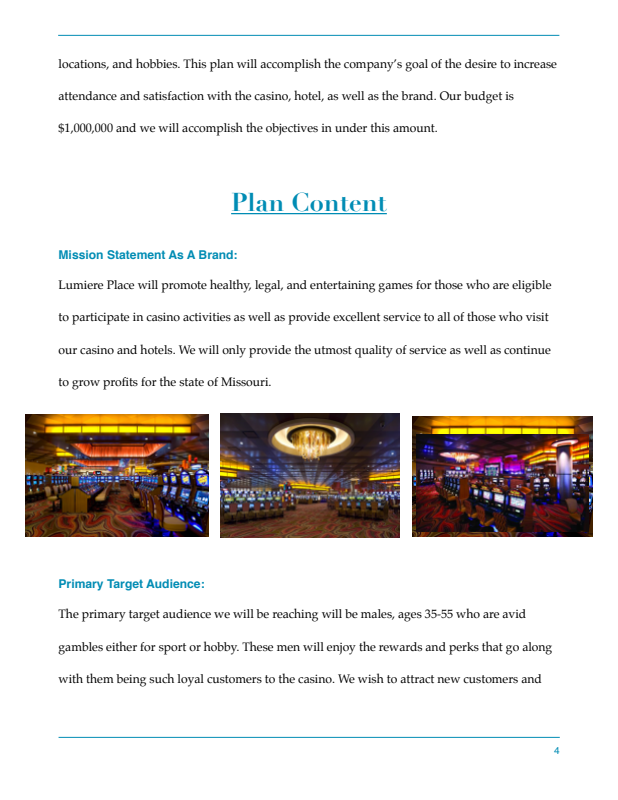 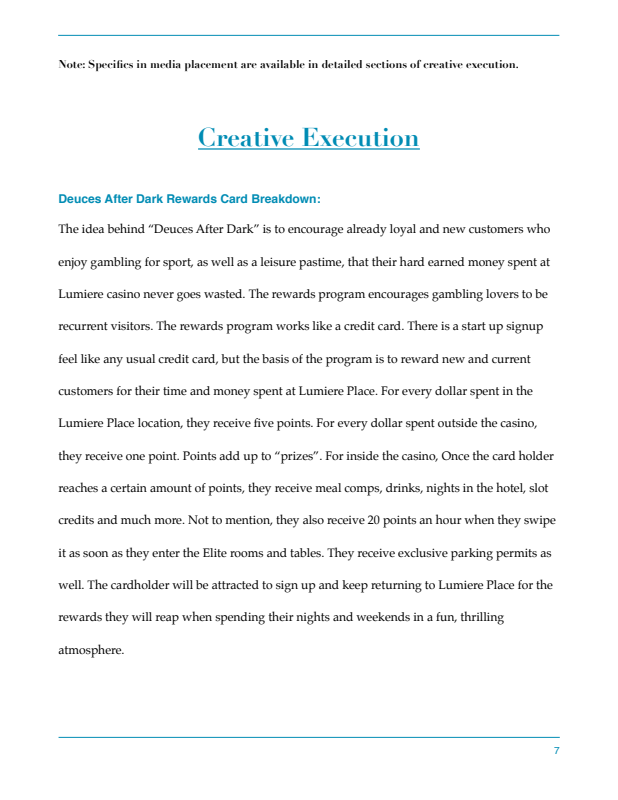 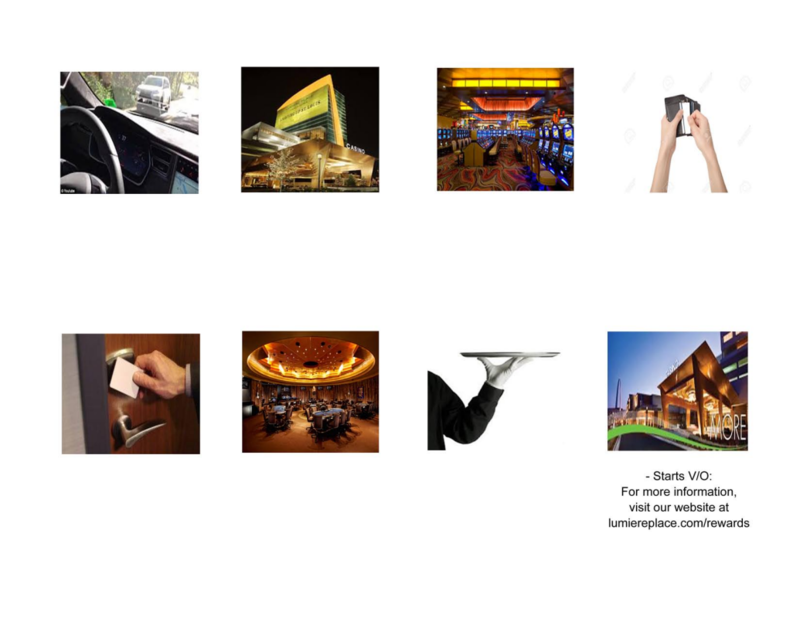 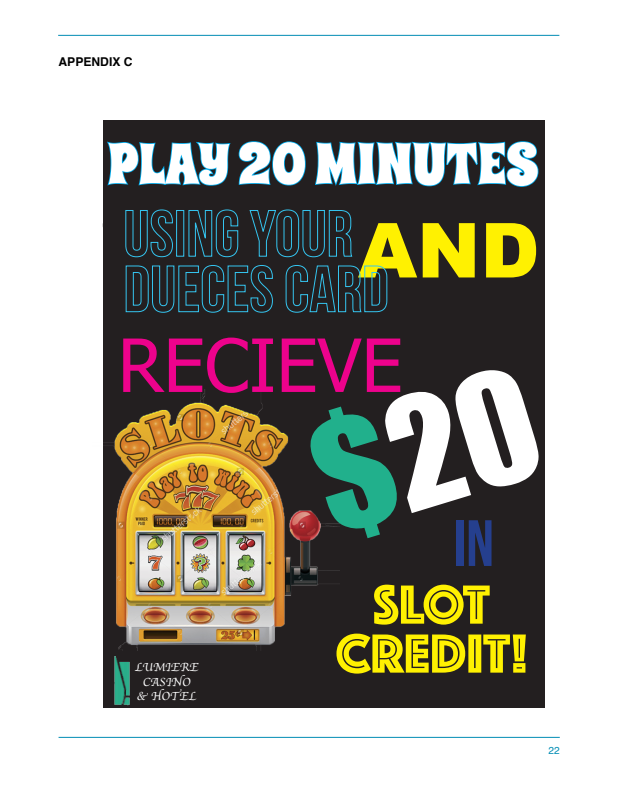 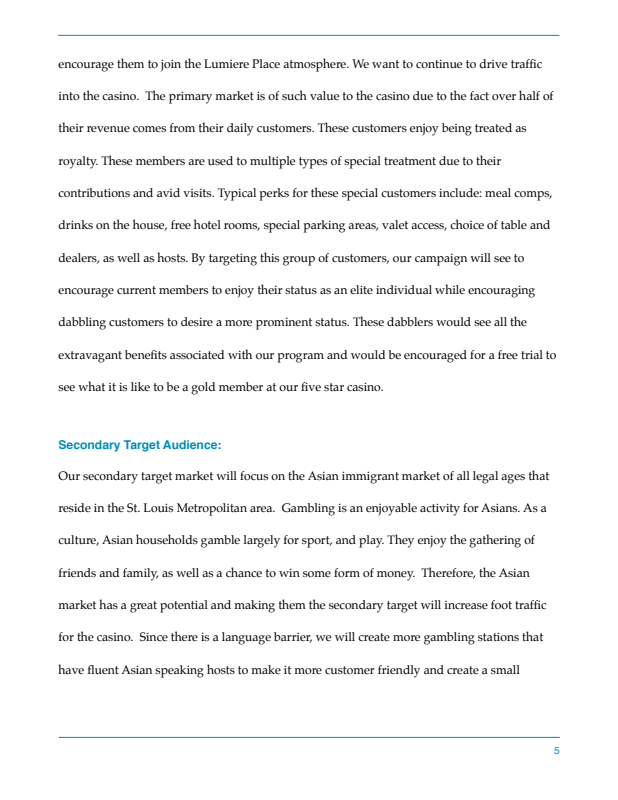 In the research, I found avid casino goers want perks and rewards for spending money at their chosen casino. 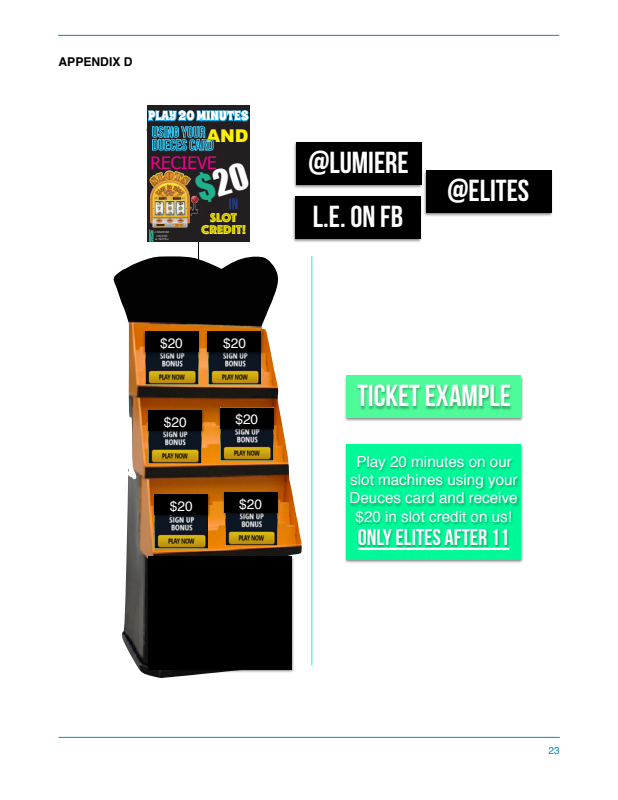 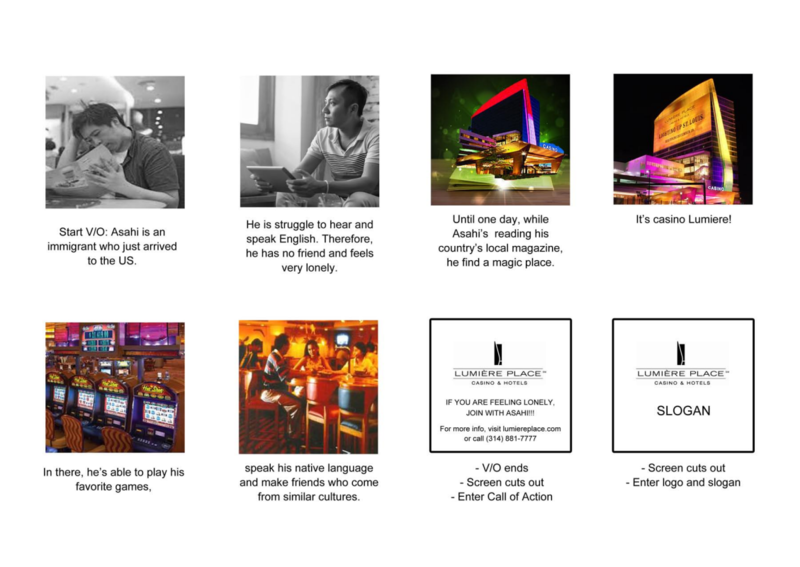 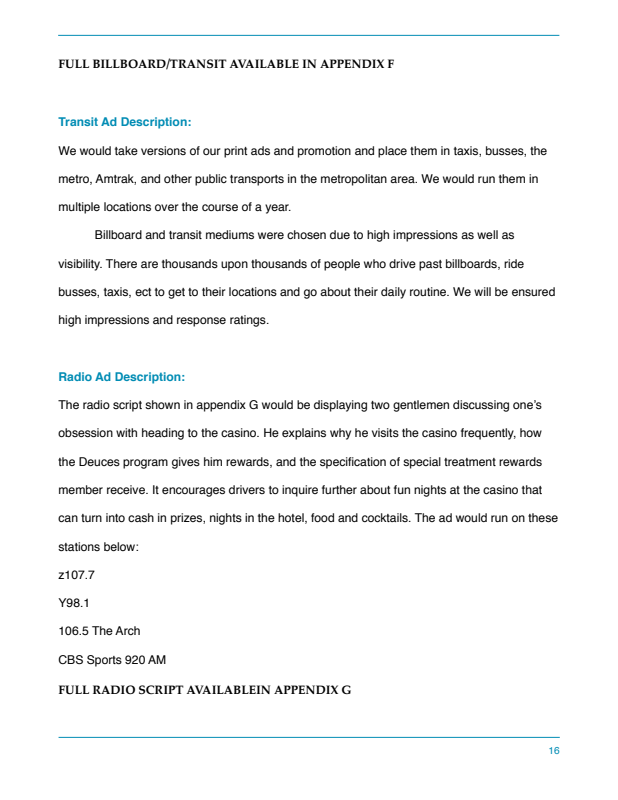 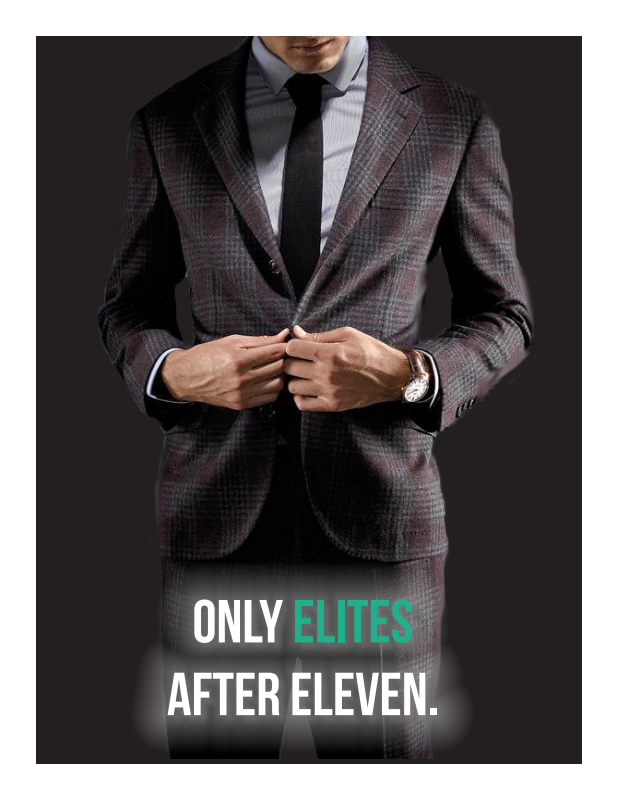 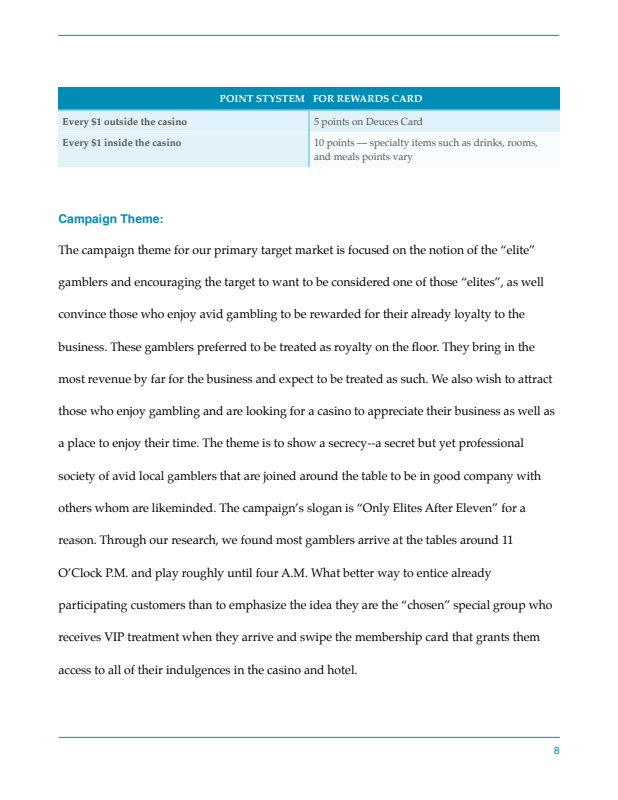 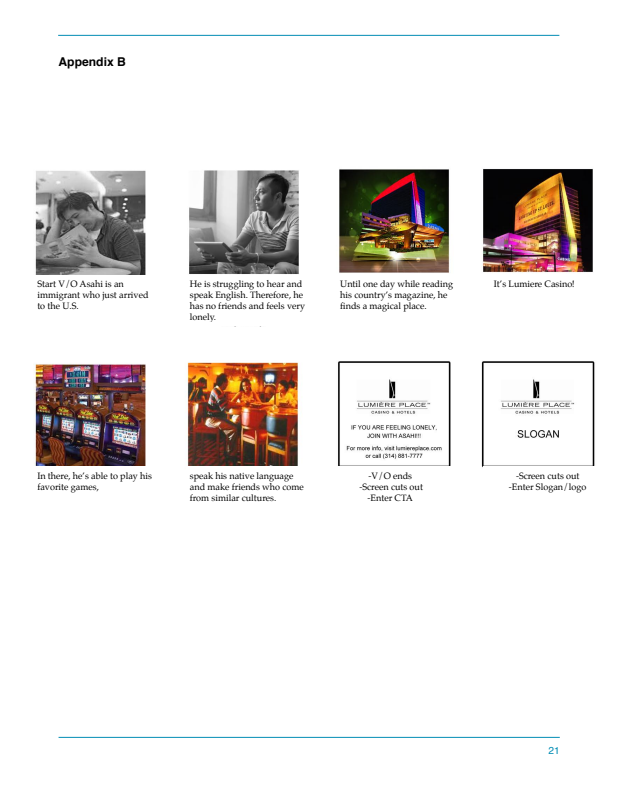 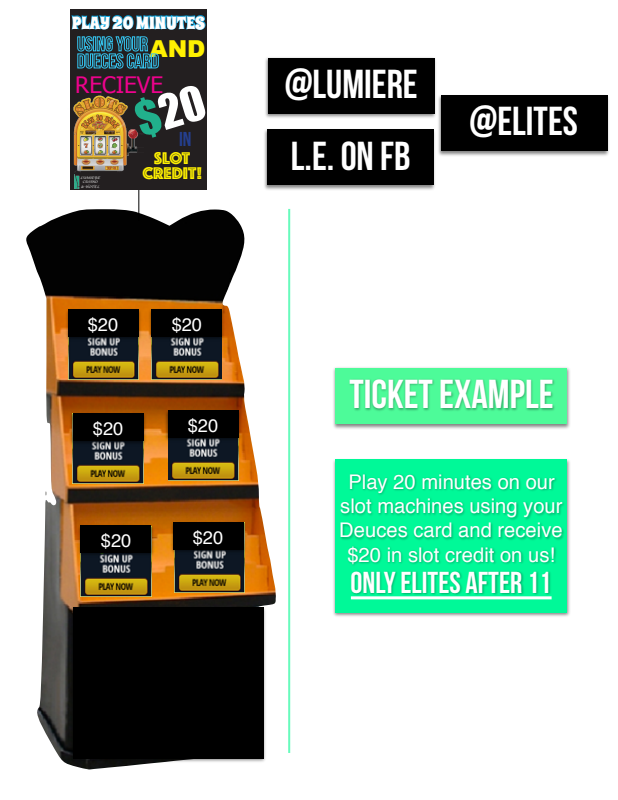 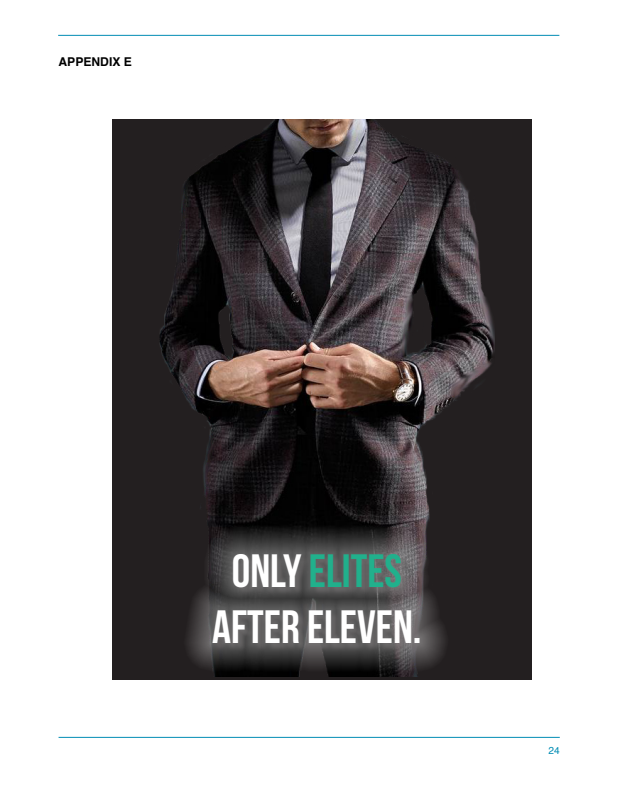 The campaign theme was called "Only Elites After Eleven"
We established this after finding avid casino goers begin showing up to gamble around 11 P.M. 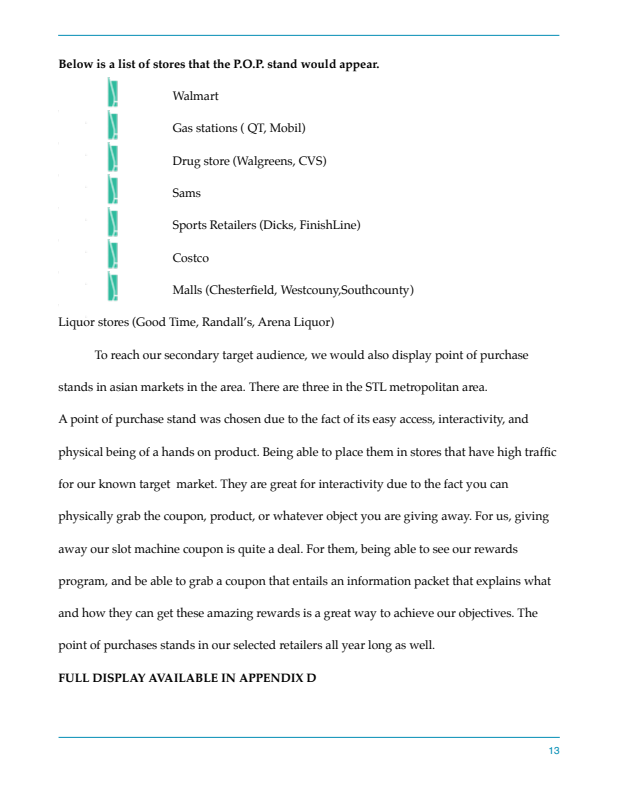 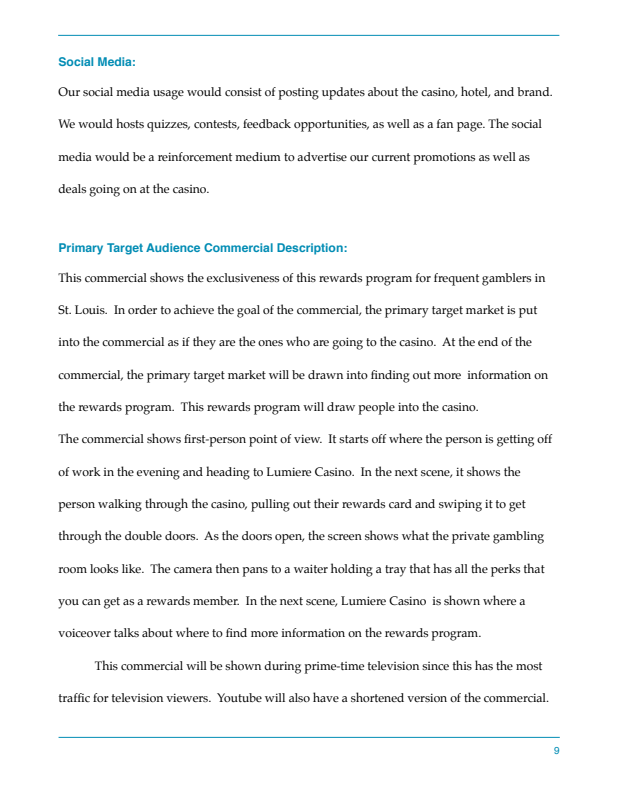 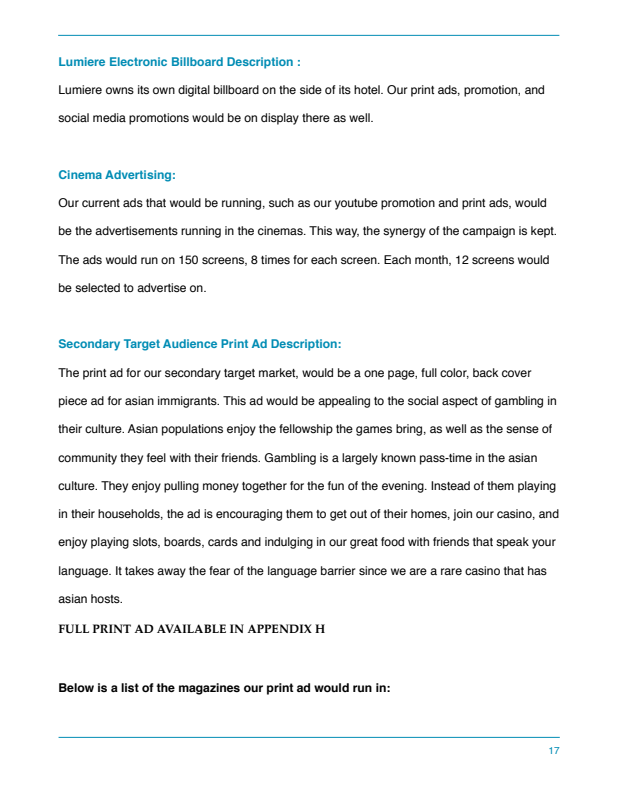 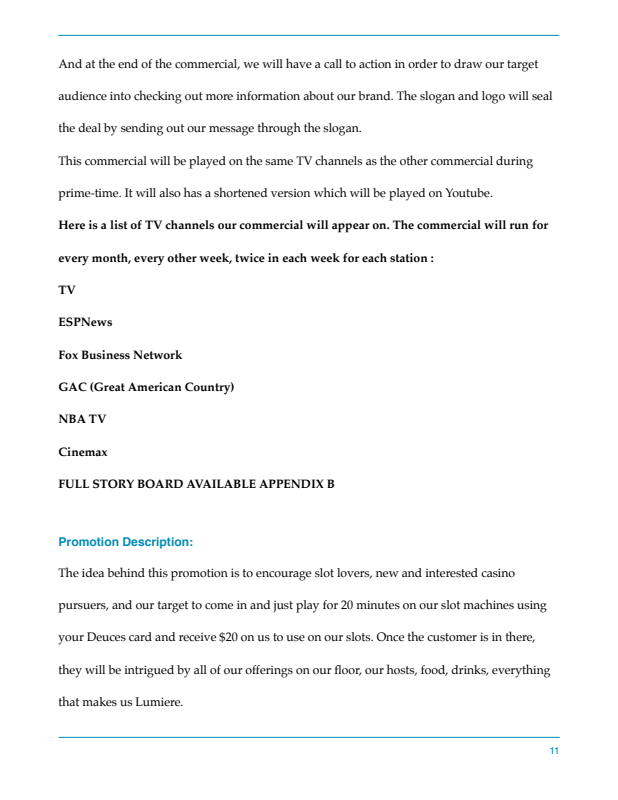 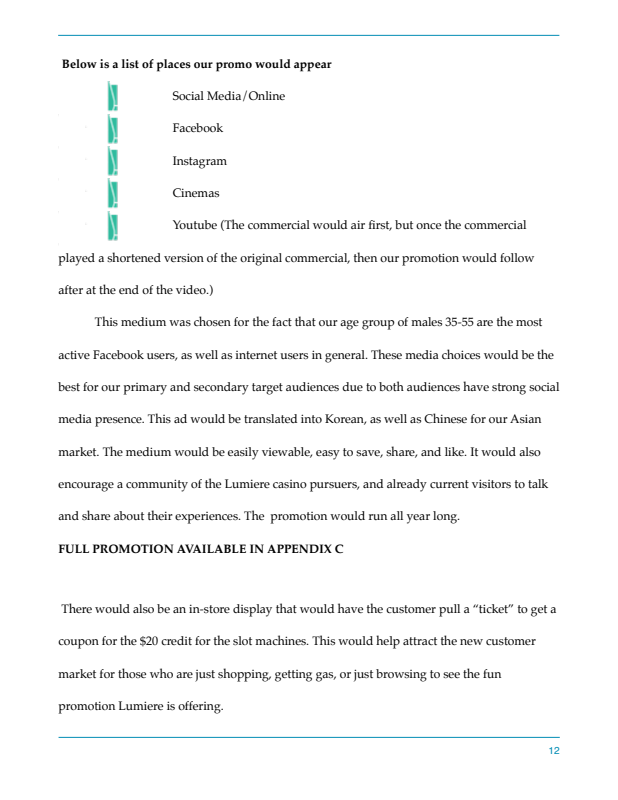 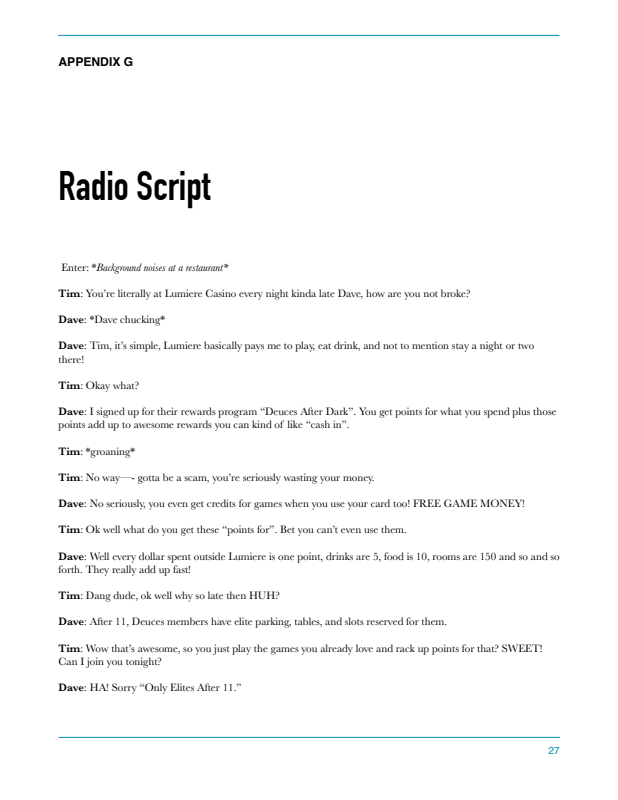 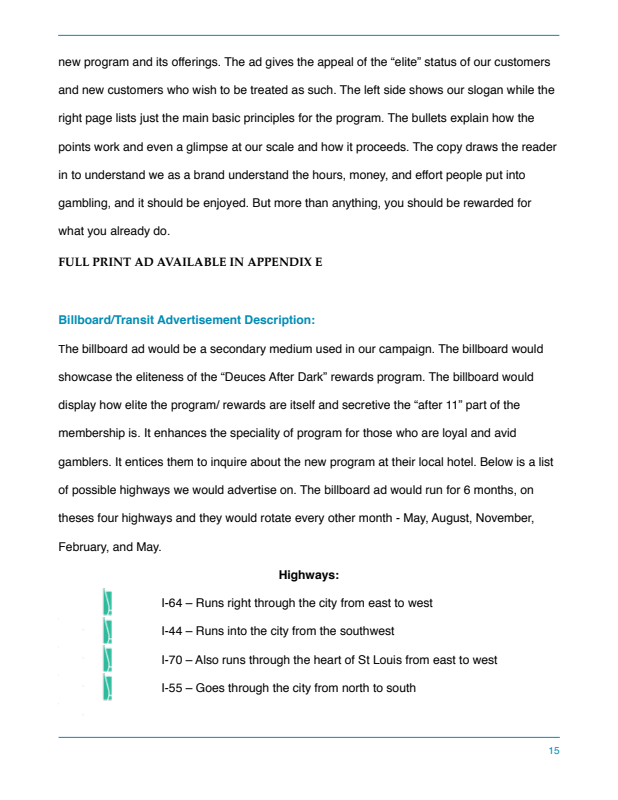 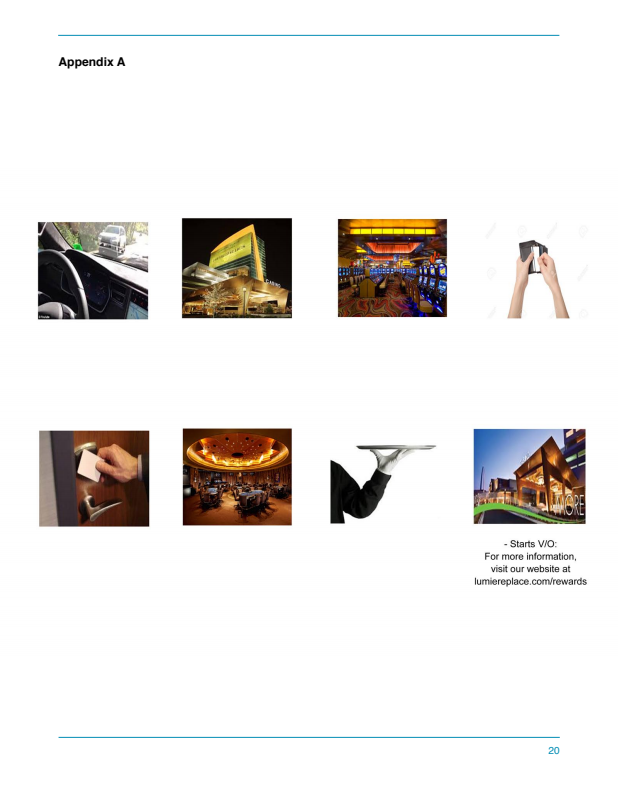 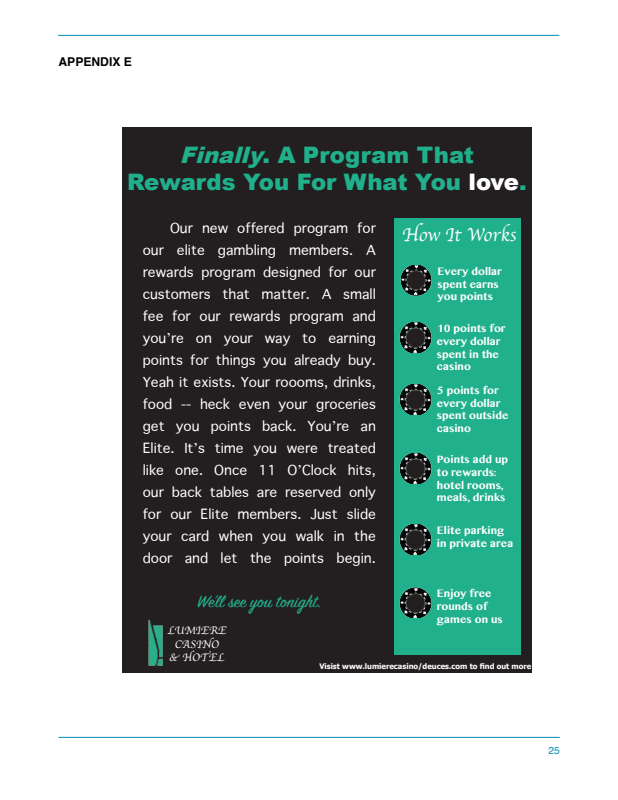 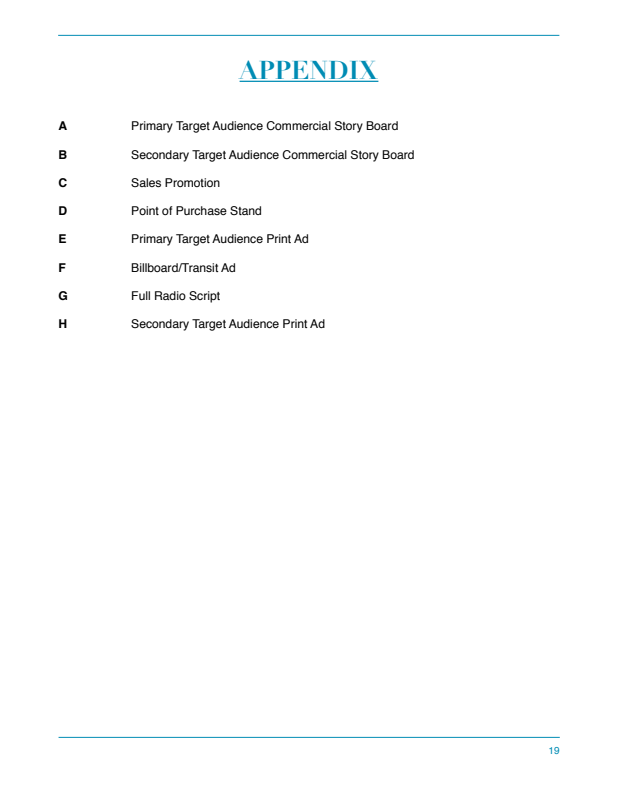 This campaign focused on standard advertising with the influence of the rewards program.